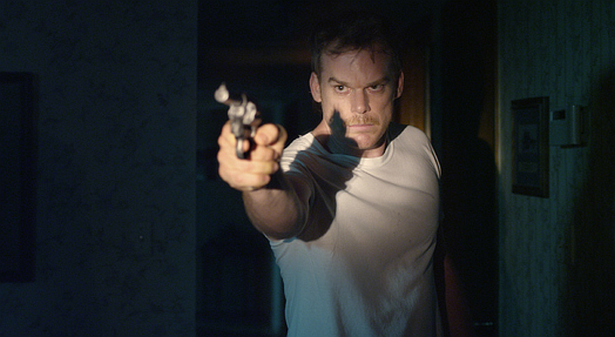 Here's a first look pic of Michael C. Hall in his first post-Dexter film which is called 'Cold In July'. According do ShockTillYouDrop, the film is going to make its premiere at Sundance. Based on a story by Joe R. Lansdale, and adapted by Mickle and Nick Damici, the film concerns a Texas man whose life unravels into a dark underworld of corruption and violence after he kills a home intruder. Hall co-stars with Don Johnson, Sam Shepard, Vinessa Shaw, Nick Damici and Wyatt Russell.